The base pattern to make these beanies is The Graph Beanie pattern from Playin’ Hooky Designs, which you can also obtain through Ravelry ($5 including a free chart). 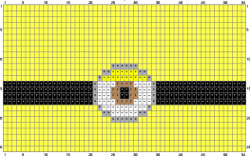 The only thing I did to modify the pattern is add some hair for the minions and I added a three row border at the bottom. The border is made starting from the back seam: 1sc, ch 2, 1sc in nearest "valley", ch 2, 1sc in nearest "valley", ch 2, etc. Below are links to the PDF files I created to make the minion beanies. 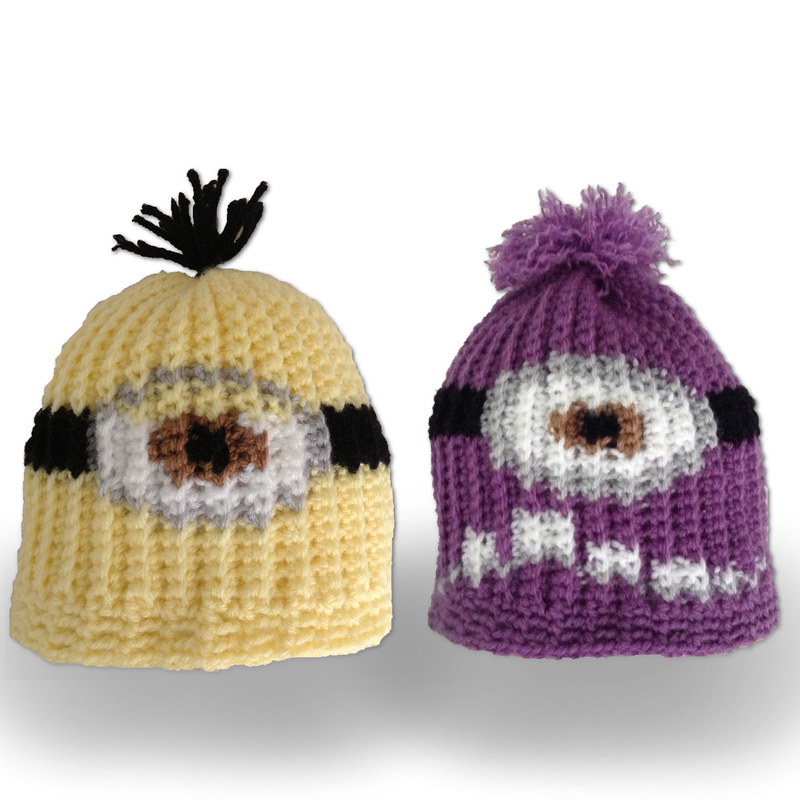 The yellow beanie chart is baby sized (6-18 months) and the purple charts are sized for a smaller child. But it is easy to add rows to the top and bottom and columns to the left and right of the charts, so making them in a larger size should be no problem. To make the charts I used this lovely app: StitchSketch.